DSquared2 girls fun but luxurious wool jacket made in a bright red and black check with animals woven in the black and yellow stitching adding highlights. It has a bright yellow, silky soft woven logo lining in the body, fun striped sleeve linings and closes with two large imitation leather buttons. 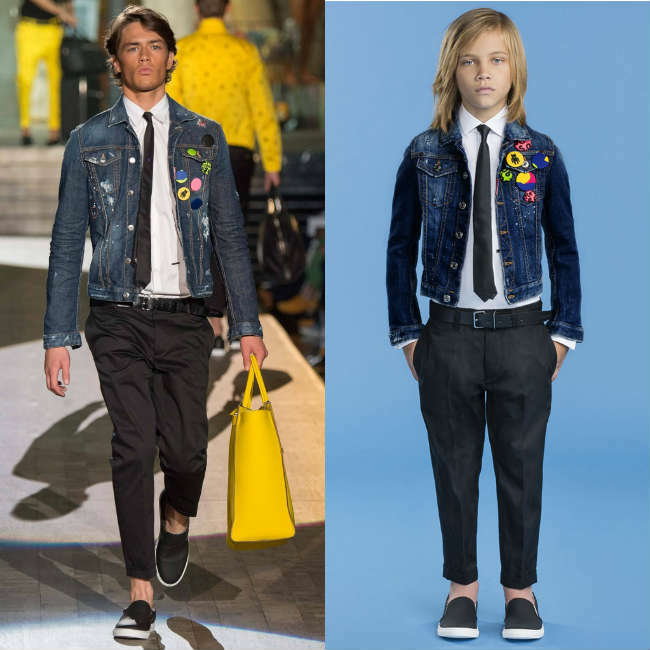 Complete the look with a pair of baggy jeans, white button down shirt and black cardigan. 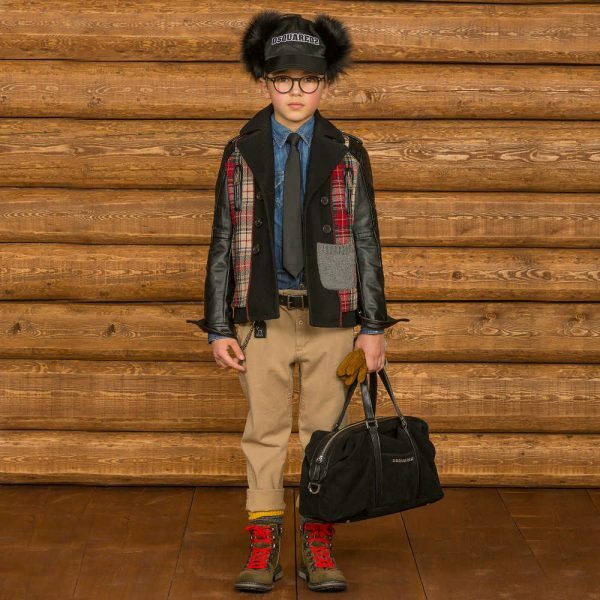 Looks great with a pair of black leather boots and fur hat. 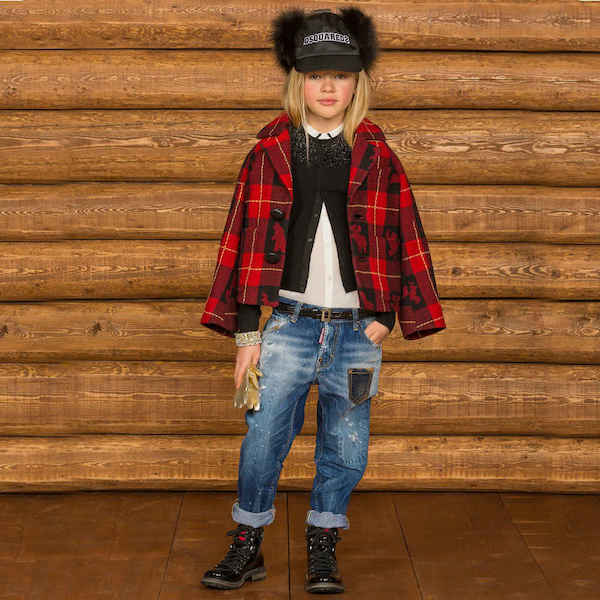 Adorable Mini Me Look Inspired by the DSquared2 Women's Collection featured on the runway at Milan Fashion Week. Ships Worldwide.